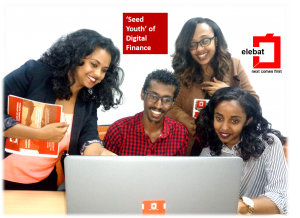 Elebat has engaged with 12 financial institutions in the country to build their internal competence in conceptualizing and operationalizing a commercially feasible Agency Banking service through training 400+ Bankers across Ethiopia. This training provides participants with the critical success factors towards a successful implementations of a commercially feasible agency banking providing key insights on Agent Network Development and Management and on how to craft GO-TO Market strategies. The internal competence engagement has met our ultimate goal of accelerating the Banks’ readiness towards commencing the Agency Banking service. Based on the training impact evaluation, we were able to understand that 92% of participants rated the expected training content – Excellent where the other 8% Very Good; 90% rated level of content knowledge – Excellent and 10% Very Good; 96% rated the enthusiasm of the trainer on the subject matter and delivery – Excellent and 4% Very Good.